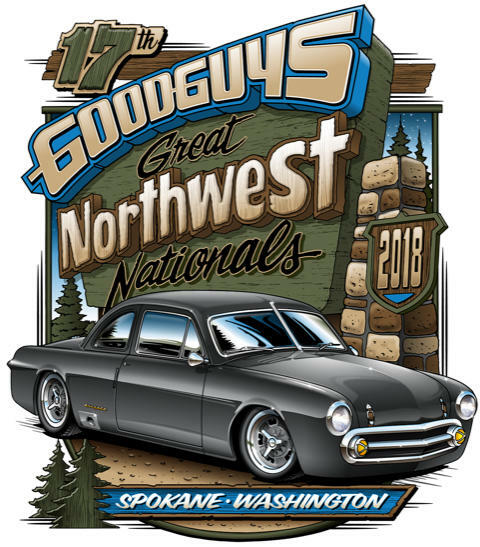 Goodguys returns to the Spokane County Fair & Expo Center in Spokane, WA the weekend of August 17-19 for the 17th Anniversary of the Great Northwest Nationals Giant Car Show! Bring all of your family and friends and check out over 1,500 1987 & older hot rods, customs, muscle cars, trucks and classics on display! Other exciting event attractions include an Indoor Car Show, Nitro Thunderfest Dragster Exhibition presented by Fuelcurve.com, Vendor Exhibits, a Swap Meet & Cars 4 Sale Corral, Live Music Entertainment, a Model Car Show, special parking areas on Saturday, a FREE Kids Zone, Builders Choice Awards by JF Kustoms, and so much more! And, late model American made or powered muscle cars, customs and trucks are welcome on August 19st for the Spectre Performance All American Sunday! 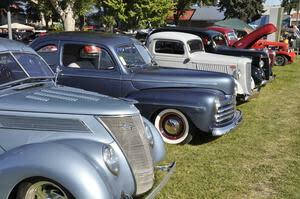 For complete details and to register your vehicle or purchase tickets, visit www.good-guys.com. Where timeless traditions meet new school trends! Goodguys...Cool Cars, Cool People...Good Times!